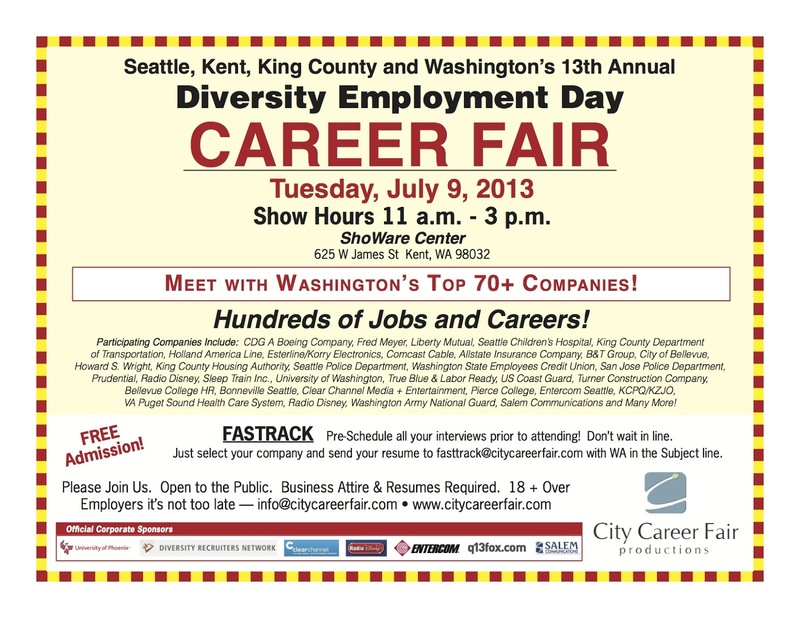 Patty's Utopia: Career Fair on Diversity Employment Day. July 9th in Kent, WA. 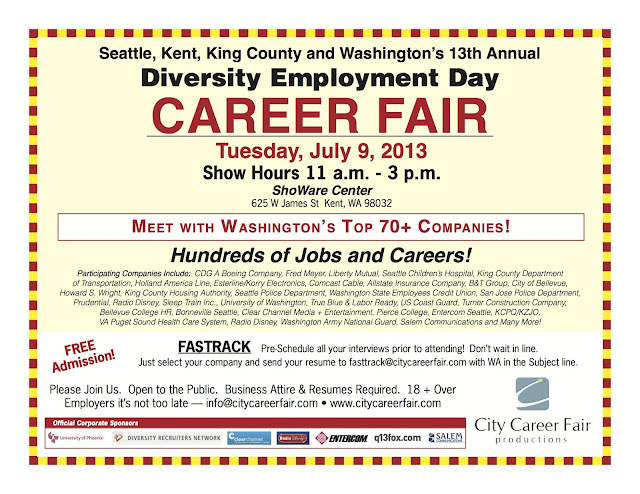 Career Fair on Diversity Employment Day. July 9th in Kent, WA. For the past twelve years, I've been thinking about how lucky I am for living in a state where its residents celebrate their diversity. And I was reminded of this, yesterday, when I opened my email and found this amazing message. I hope that, all of you my friends, can help me spread the word about this event too. 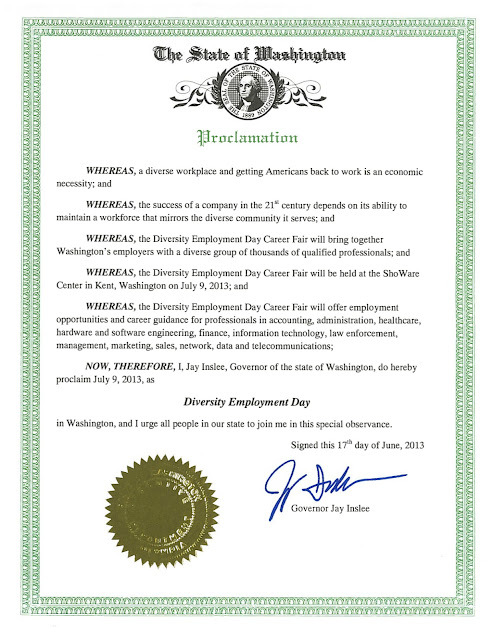 Below, I have added a copy of the proclamation signed by Governor Jay Inslee, proclaiming July 9th, as the "Diversity Employment Day."